Striving to grow into a global lithium batteries leader acknowledged and respected at home and abroad, Polinovel has for many years been in working hard on designing, developing and manufacturing high-technology lithium batteries for lithium industry and specialized applications. From breakthrough lithium materials chemistry to innovations in battery systems management and complete system design, Polinovel provides game-changing energy storage solutions that deliver a new combination of high power, excellent safety and long life. Our vertically integrated, state-of-the-art global manufacturing facilities produce high-quality lithium cells, modules and battery packs systems to meet evolving customer requirements for innovative technology. Meanwhile, Polinovel engineering team is able to leverage its deep research and development experience and extensive knowledge across customer product platforms to rapidly design and develop new batteries and energy storage solutions that help customers quickly deliver their most innovative products to the marketplace. By introducing high-end talents and building labs for physical & chemical testing, electrical performance testing, electronic, safety & reliability testing, and taking the complete set of industrial technology system as the target, Polinovel can develop and manufacture advanced lithium ion cells and systems designed to help customers quickly and cost-effectively take engineering breakthroughs from conception to commercialization. 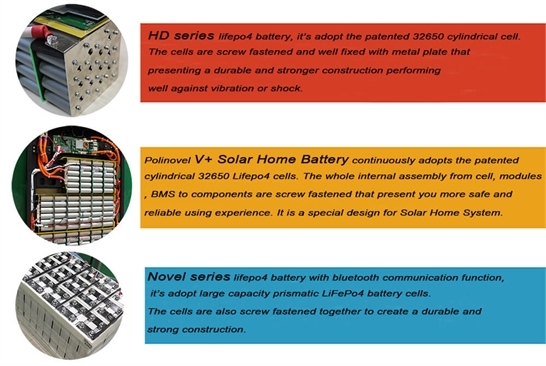 Polinovel lithium ion batteries that deliver high power, maximize usable energy, and provide long life, all with excellent safety performance and are operated in electric vehicles ranging from passenger cars to commercial transit buses, and energy storage systems around the world. Today, Polinovel partners with customers to provide complete EV power supply and energy storage solutions that enable the rapid development and delivery of innovative products that meet demand in both existing and emerging markets. Polinovel will continue to work hard to lead the future industry of new energy business based on rechargeable battery solution, and achieve our promise and goal of being a trustworthy and respected enterprise through continued effort to fulfill its duties and responsibilities. Thanks for your time to review us! Looking forward to cooperate with you in the near future.